Our Vaughan office is now completely impression-less! This means to capture a replica of one’s teeth we no longer take goopy impressions. We are able to offer this service because we have an in-house 3D printer. If you haven’t already seen the video on our Youtube channel, check it out here. The old way of creating a model of one’s teeth consists of taking an impression. The impression is most frequently done using a material called alginate. Alginate can easily distort if not treated carefully. Plaster or dental stone is then poured into the impression to create the positive replica. These materials also have an element of distortion and may shrink or expand. The stone is also quite brittle so it often breaks when an appliance is made off of it. Sometimes extra appointments are required because the impression is inaccurate or the plaster model is distorted. With digital technology using an iTero 3D scanner, all of that is now a thing of the past! Our scanner captures images of the mouth and makes a digital replica. The digital replica is stored as an .STL file, which like any 3D printing format allows us to interface with a 3D printer which we have right here in the office! This amazing technology digitally prints the model using a special type of resin. 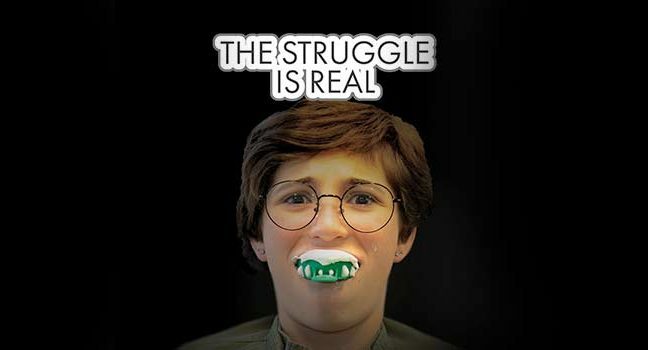 One of the key advantages over the old, analog method of taking impressions with alginate is that the resin is both harder than the plaster (hence it survives most appliance fabrication processes) and more accurate. Another key advantage of digital impressions is that we are able of course to save the .STL file so the model can be re-printed at any point in the future. If you have any questions about Digital Orthodontics we’d love to hear from you. If you are not already a patient, please ask us all about it at your complimentary consultation and we’ll even be able to give you a tour of the iTero scanner and our digital process! We love providing our patients with digital orthodontic treatment!